Friday, 12 September marked the end of the first extended year of RCUK’s Open Access (OA) policy. There were some tense moments in the Research Services office as we put the finishing touches to our report before the high noon deadline. The data and compliance report we submitted includes details of the payments made from the block grant and full-text deposits in Manchester eScholar, our institutional repository. You can see the report and all supporting data in our institutional repository. Prior to the launch of the RCUK policy we’d delivered campus-wide communications and we monitored publishing activity throughout the year. 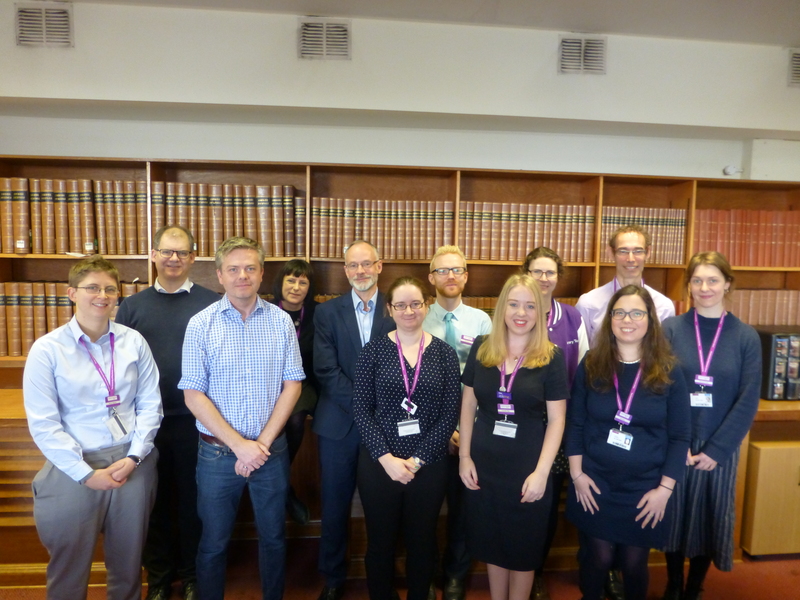 We’d had some very invigorating discussions with researchers about the pros and cons of OA and efficiencies in publication procedures and we monitored OA engagement throughout the year to see if they’d listened. We wondered which way authors would jump – Gold or Green? Would they choose different journals if their first choice wasn’t compliant with the policy? And how much more nudging would they need to change their established publishing behaviour? We continued our communication throughout the year, partly reminders of the policy and partly targeted messages to authors of non-OA RCUK-funded papers. At final count we paid for 575 papers from the block grant and identified 59 Green OA papers. This total (634) represents 53% compliance. 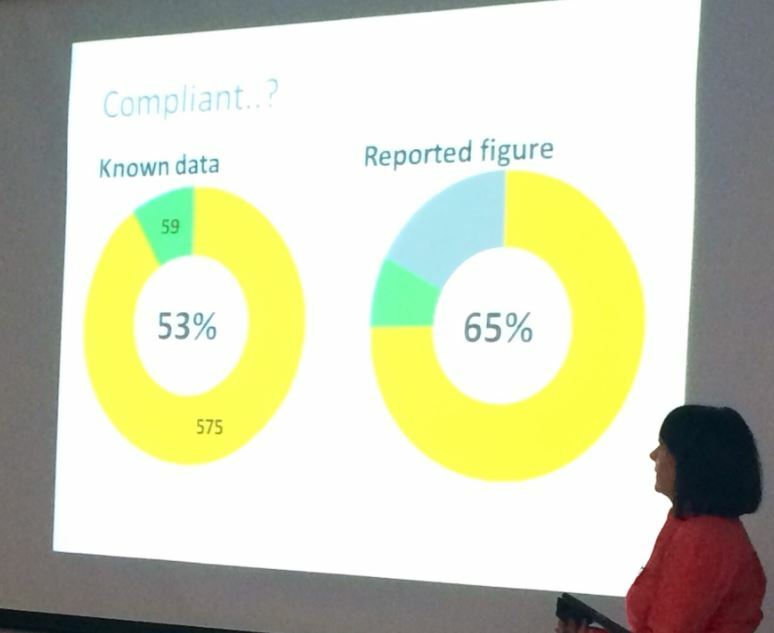 We estimate an overall compliance level of 65%, based on a sample of data from Web of Knowledge. RCUK approved us spending part of the grant on an OA monograph and this was our highest charge – £6,500. Our highest Article Processing Charge (APC) was almost £4,200. Our average APC for Year One, not taking account of institutional discounts, works out at £1,510. 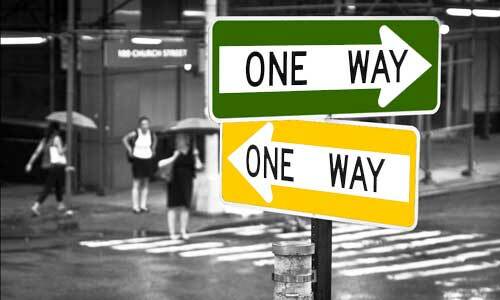 Open Access: Green or Gold? We wonder how strictly RCUK will define compliance after Year One? We know that 29% of Gold OA papers are not licensed as CC-BY and no Green OA papers are licensed as CC-BY-NC. We don’t know why this is because we don’t approve payments for journals that don’t offer CC-BY. In terms of Green compliance, we aren’t aware that publishers are offering CC-BY-NC as an option. The role of publishers in influencing licence choices and displaying licence information is something we hope RCUK will investigate more in Year Two – rather than penalising individuals whose papers aren’t correctly licenced this year. We’ve found that some publishers are willing and able to amend licences for RCUK-funded authors after publication on request but that others won’t. We know that we haven’t changed culture entirely in Year One, but we’ve made some significant progress and have a solid foundation on which to build towards increased compliance with RCUK and HEFCE’s OA policies.